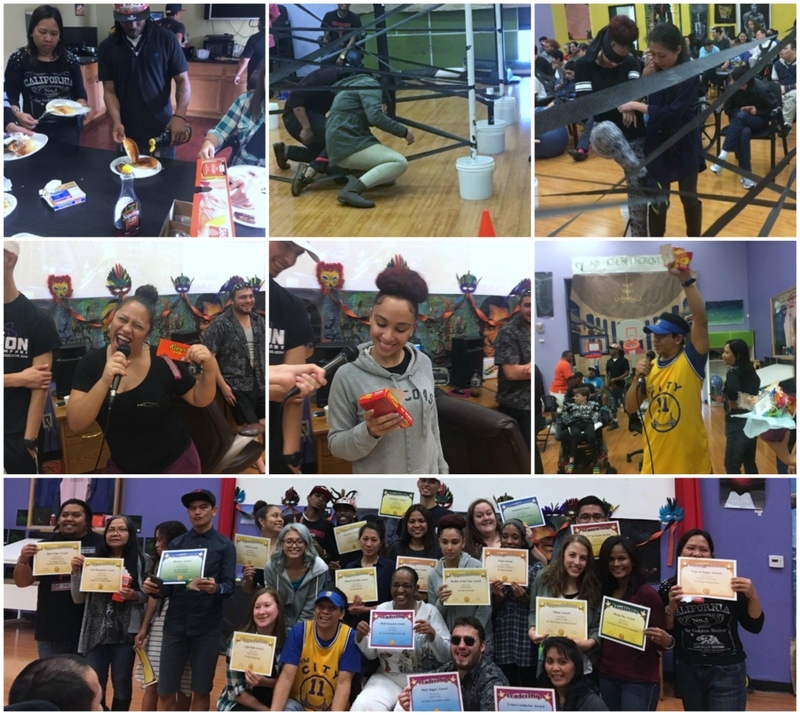 Elk Grove AIM HIGHER had a lot going on for the month of November below is the November 2016 recap! We started out the month with a spirit week. 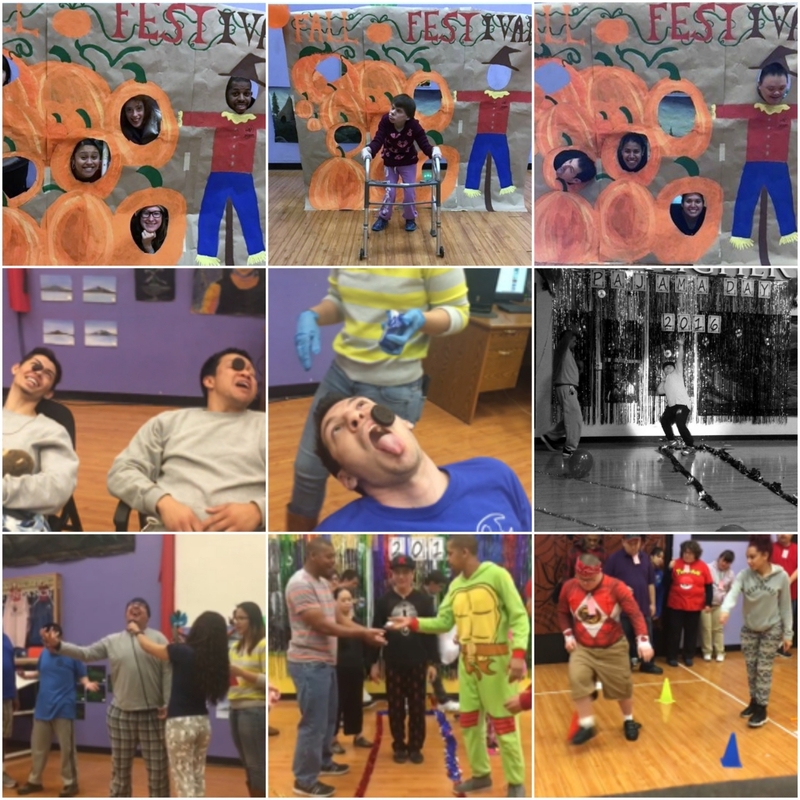 The first day was a Fall Carnival put together by the Client Council. The second day was Pajama day were the clients got to walk the runway and play some fun games. The third day and final day was a Ninja Obstacle Course that clients participated in teams to make it through the fastest. 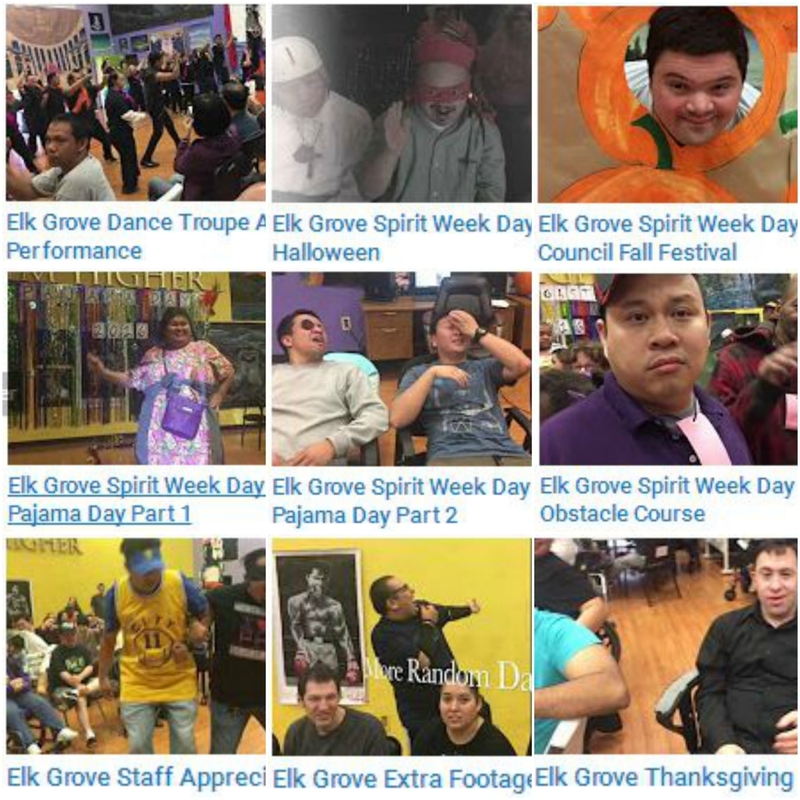 The outings this month at Elk Grove kept the clients busy. 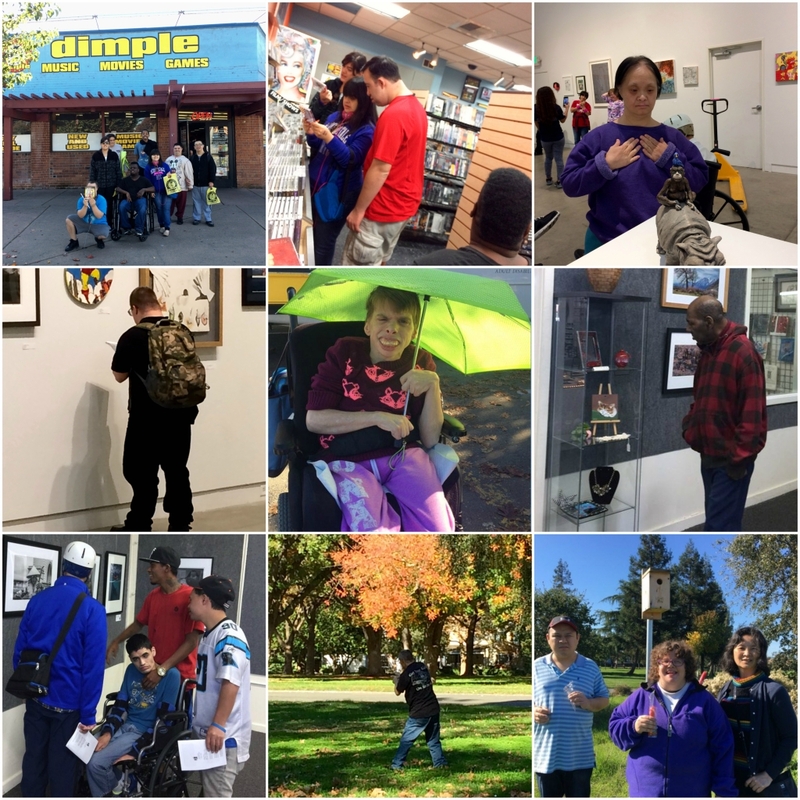 The clients took a trip out to Dimple Records, went to the Verge Center for the Arts, the Sacramento Fine Art Center and the park. The Vocational Crew stayed busy this past month. 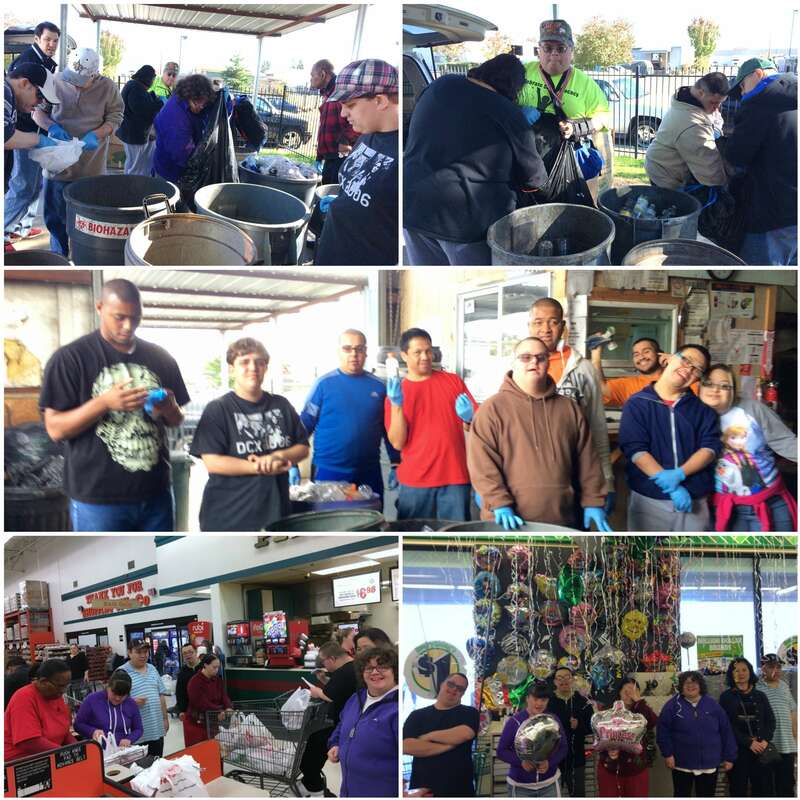 The crew was able to go to a new recycling place a few different times this month. They also went shopping for the “Dugout” student store and a few of the fun activities. 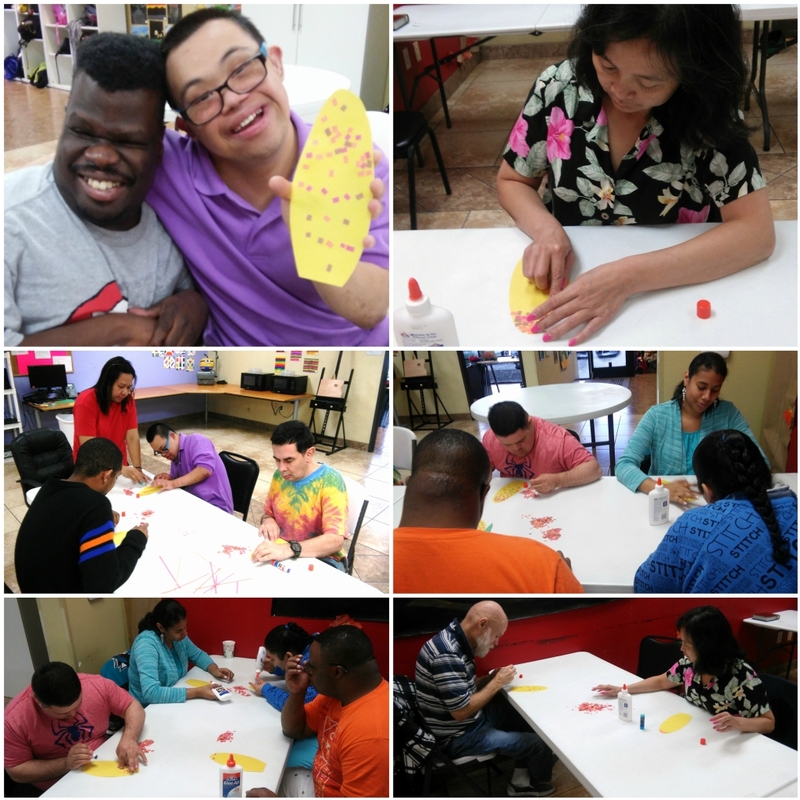 The clients from Suite 100 got to participate in some fun new activities. 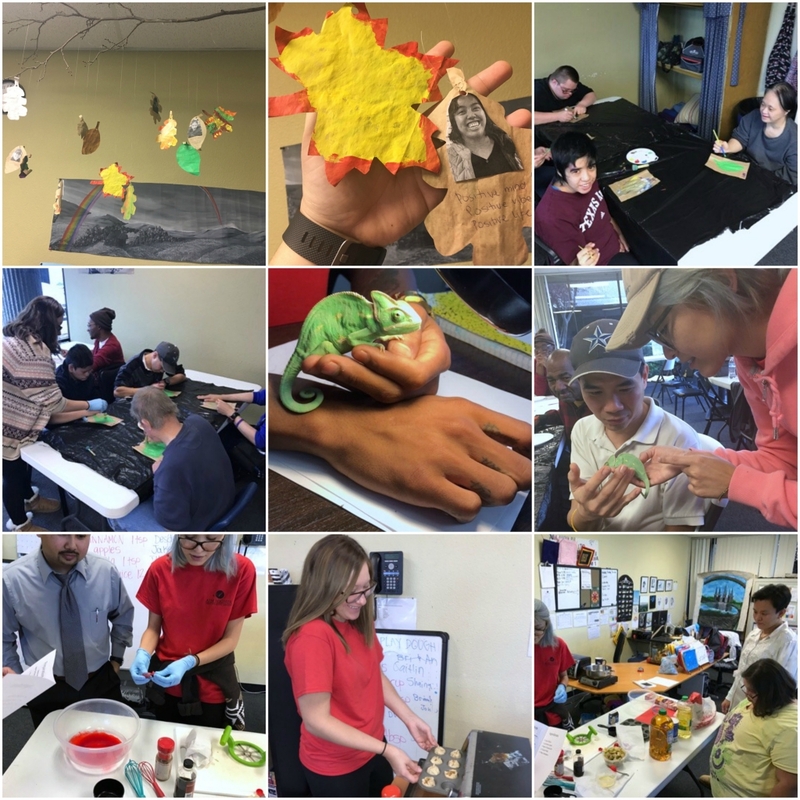 One of the activities was about Positive Thinking and they got to make leaves with their pictures on it with a positive quote. They also had a visit from a Chameleon and talked about how they change to blend in with their surroundings. For cooking the clients learned how to make mini apple pies. The clients from Suite 300 helped keep Elk Grove decorated. They worked hard on crafting new table decorations for the annual Thanksgiving Lunch. 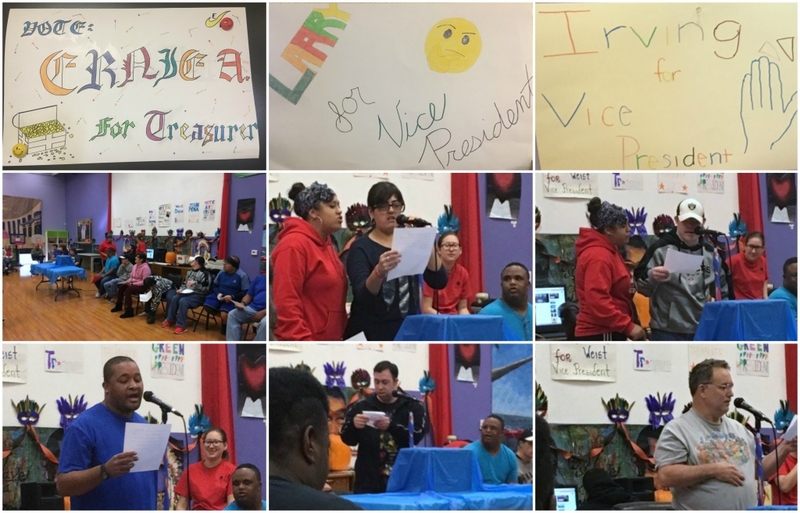 Client Council had their elections this month! Clients put together posters to hang around the building and worked on speeches with the staff. On November 22nd those running (plus a last minute admission) got to give a speech to all the clients in hopes to secure their votes. 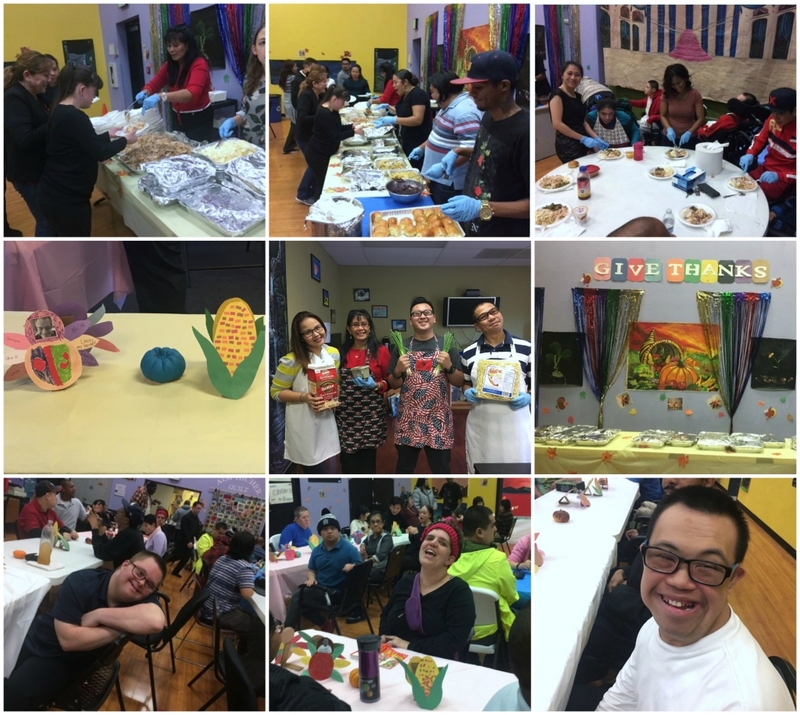 The clients were able to celebrate the holidays with a fun Thanksgiving Lunch. The staff came in early and started cooking all the sides. The Cajun Turkey was delicious with everything. 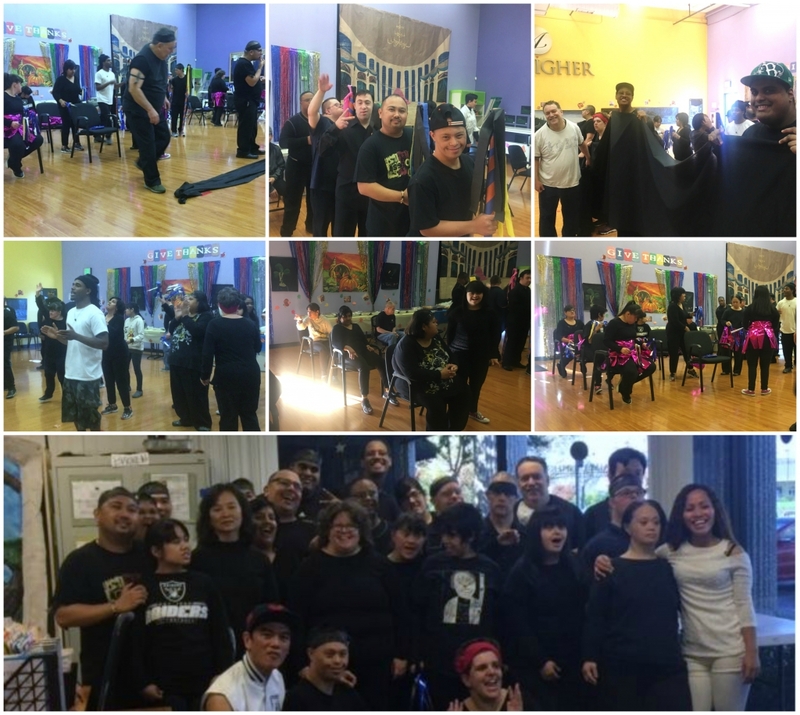 The clients also saw the Elk Grove AIM HIGHER Dance Troupe dance another wonderful performance. November 10th was the clients day to say Thank You for everything that the staff has done over the past year. The morning started off with breakfast for everyone and then the clients put together a obstacle course for the staff. The day ended with personalized awards for each staff. Have you heard that we are on YouTube? Find us by searching aimhighermedia on YouTube or by clicking the picture below.